This blog post was written by MA English Literature student, Nicole Jones from the School of English. I’m by no means a country girl (I come from Solihull, which is small but has an Apple shop and a John Lewis – so pretty cosmopolitan!) But one thing I do really miss about home is… trees. That sounds silly, but it’s true! One of the reasons UoN really drew me was how beautiful and green the campus was. I love being outside, love being by water, and am a big fan of long walks. And in the long, cold slog that is an English winter, I think it’s easy to underestimate the importance of getting outside a bit. Lack of sunshine can lead to feeling seriously down in the dumps, but now spring is underway, there are no excuses! Lenton, unfortunately, is not the most picturesque of areas. It’s great socially, but waking up to the sound of traffic is decidedly less restful than waking up to birdsong. 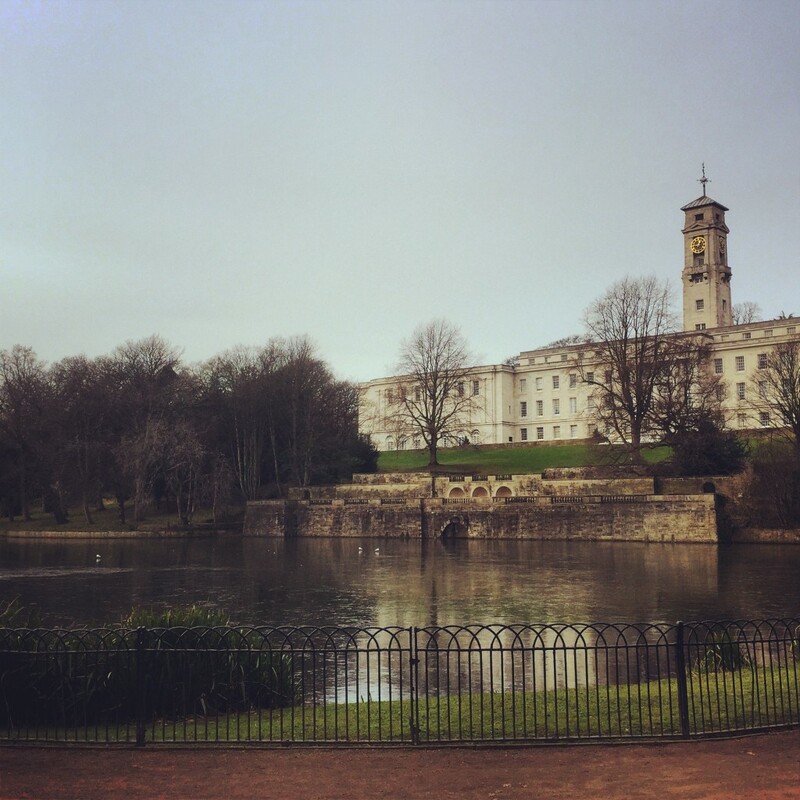 If you’re on campus – go for a walk (or even a row!) around the lake, which almost feels like a hidden world. Sure, you can see it from East Drive, but when you’re actually down there it’s lovely. It only takes about half an hour to do a lap slowly, and I genuinely find it helpful for lifting my concentration during the day. Plus, you can start from by the Trent building – so no excuse, English students! If you’re feeling really adventurous, Nottingham has something called ‘The Big Track’, which is basically a canal path. 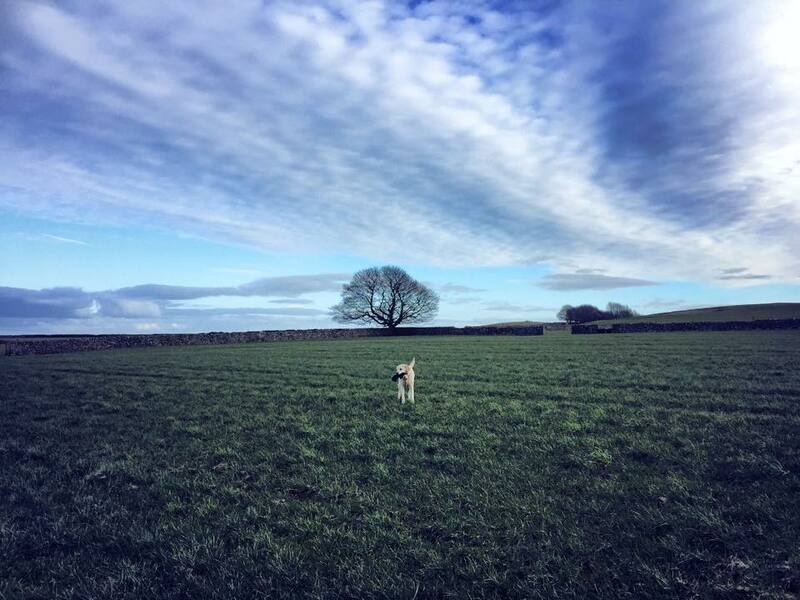 If you’re feeling stressed and need to get away from it all, this is a lovely way of feeling like you’re out of the bustle without actually having to drive to the countryside. 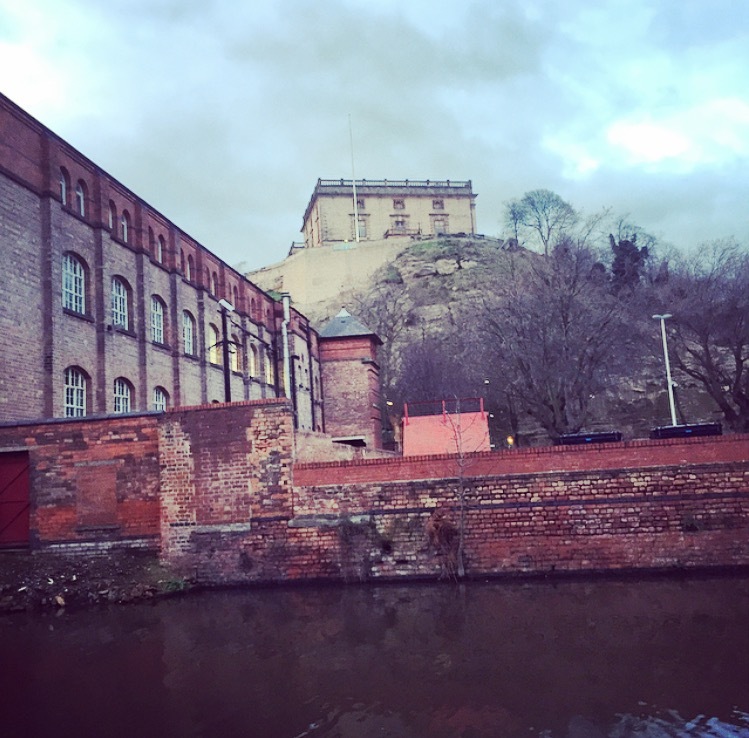 You can start in the town centre, by the train station, if you want your walk to include views of Nottingham Castle and a variety of pubs. Remember to walk with a friend, and only during daylight, as the canal path isn’t well lit. Stay safe! 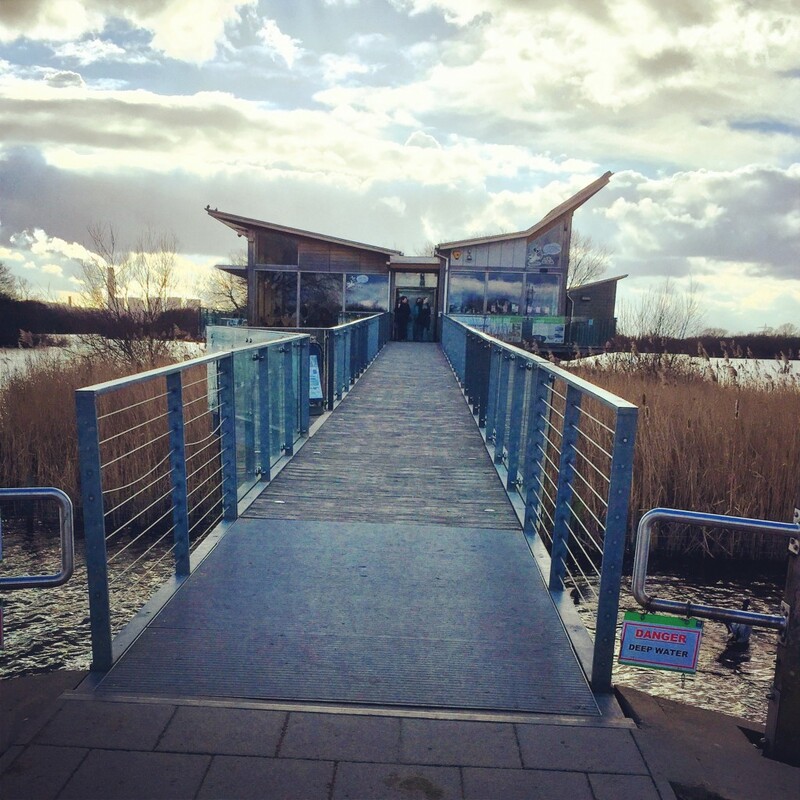 The canal goes from town to Lenton, and then on to Beeston – and if you’re really looking to get back to nature, you can carry on to the Attenborough nature reserve. The canal joins the River Trent just past Beeston Lock, and then you can hopefully enjoy some wildlife (and, best of all, a delightful café at the Reserve Centre, where they serve hot chocolate and sandwiches so big you can barely fit them in your mouth). It takes about two hours, but it’s definitely worth it. And if you’re really ambitious (and have access to a car) Nottingham isn’t far at all from the Peak District. My lovely housemate kindly drove us to Hurdlow for a scrummy pub lunch, and in a slightly bizarre twist, the landlord of the pub lent us his dog for the afternoon so we could go walking. Apparently we have very trustworthy faces! If that isn’t a mood lifter, I don’t know what is.